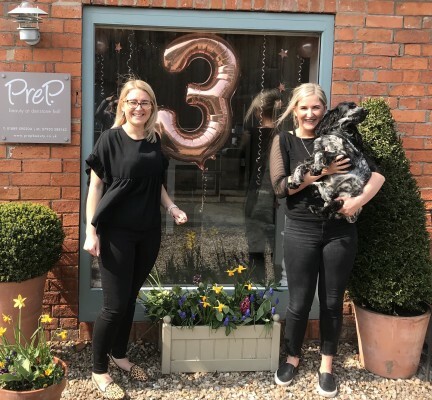 A huge thanks to all our customers, old and new as we reach our third anniversary. We couldn’t have done it without you. To say thank you, we have introduced our Loyalty Reward Card. For more information see the news blog. We found a great way to show how much we appreciate you all … introducing our Loyalty Reward Card. It’s really simple, you choose which treatment your card will apply to and then every time you have that treatment, we stamp your card. The rewards are a huge 25% off your fifth treatment, 50% off your tenth and, when your card is full … A FREE TREATMENT! Fay joined us in October as a fully-trained beauty therapist. 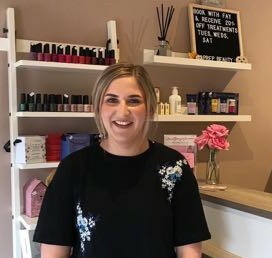 Her favourite treatment is Gel manicures and at the beginning of 2019 she also trained in nail extensions. Fay has a horse called Major who she is just getting back into work, a ginger and white cat called Oliver and, of course, loves the salon pooch Dexter! For the perfect present we have gift vouchers available in a range of values. Please ask for details.